Betfair got a new section “Super Slots”. What makes the slots super? Today when visiting Betfair.com I noticed their new section “Super Slots”, and of course I started to think about some new kind of slots which would be really cool. When I saw the games in the section I got kind of disappointed. I had high expectations since Betfair promoted the section to their main menu. Image 1. 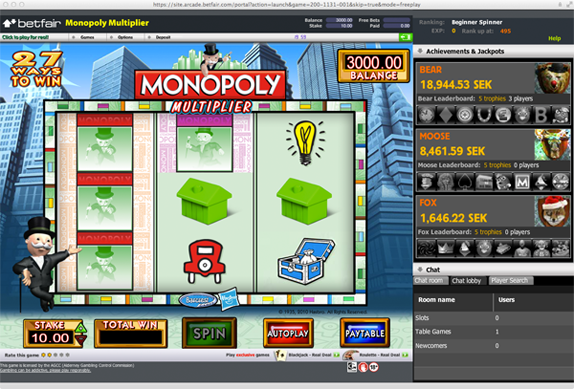 IGT’s Monopoly slot. Not sure I would do it the way Betfair does.